If you’re anything like me, you want your smile to impress someone upon first meeting. You have your morning toothbrush routine, and even sometimes freshen up your look by whitening. But have you ever considered that what you eat may have as big of an impact on your smile as brushing daily? 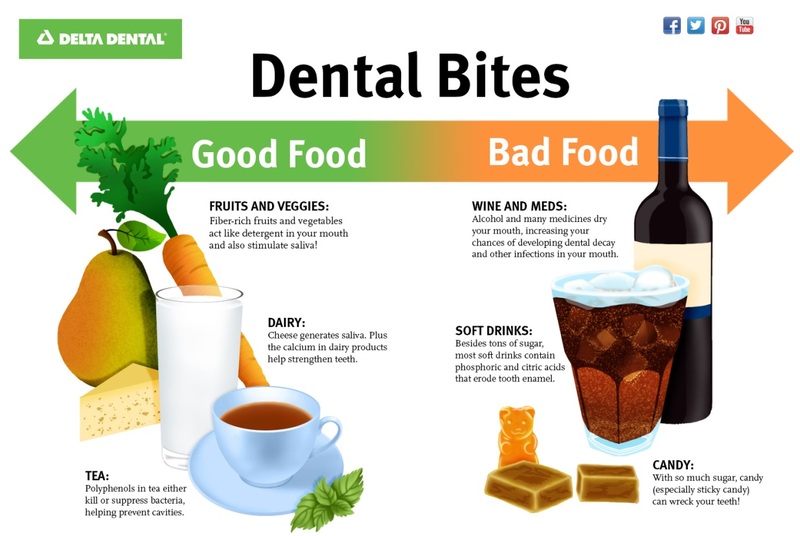 Below are suggestions for eating healthy for your teeth, and what foods you should avoid to keep your smile in tip-top shape.